Five Sixth Form students from JFAN attended the Dragon’s Challenge Awards Evening on the 25th April 2018. 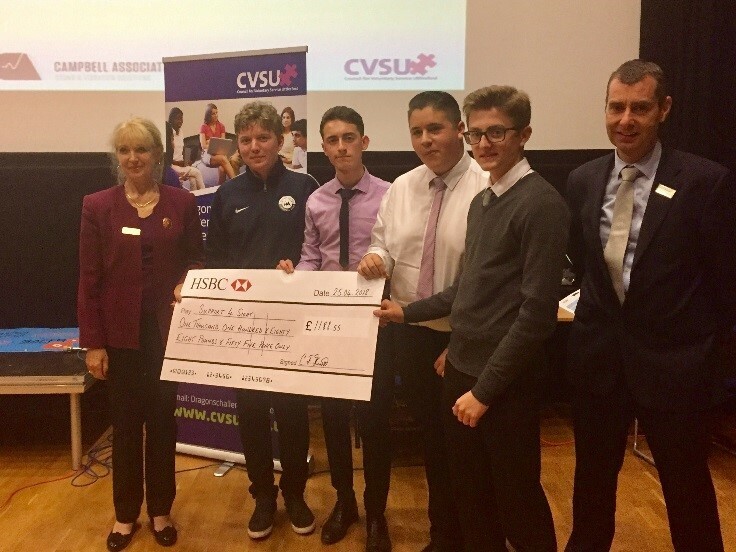 The students had taken part in the Challenge which began in the Autumn Term, and ended in March this year, and involved students from all the local schools and colleges in the area. The aim of the challenge was to invest £100, and with the help of a business Dragon, Waitrose Branch Manager Jim Brewin, develop business ideas to raise as much money as possible for their allocated local charity, ‘Support 4 Sight’ based in Saffron Walden. The team worked hard and held numerous cake sales, had a non-uniform day and spent a day bag-packing in Waitrose to raise money for their charity. 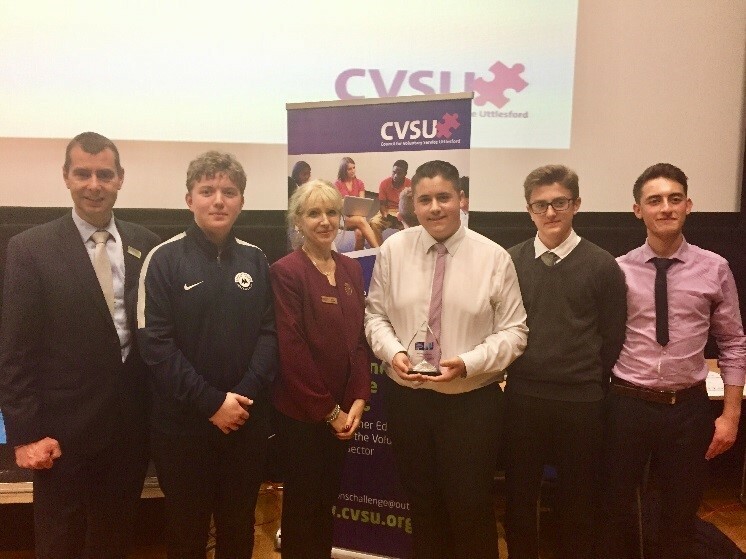 The Awards Evening was a lovely celebration of each teams’ efforts and our team were delighted to win the prize for the ‘Most Money Raised’, an impressive £1120! ‘It’s been a really rewarding experience and despite some early team frustrations and anguish, we have really turned this into something positive. I can’t say how proud I am that we raised this much money for ‘Support 4 Sight’, as I can’t think of a charity locally that deserve it as much as the lovely people at ‘Support 4 Sight’, and the cause they represent. I’ve been really glad to be involved in this new programme as it has allowed me to use my business knowledge for something really positive!’.